Sports Physicals or otherwise known as pre-participation physical examination are administered by medical professionals before the school year begins. These examinations determine whether it’s safe for your child to participate in a certain sport during the school year. GuideWell Emergency Doctors offers this examination to anyone that needs it. Below are some frequently asked questions regarding sports physicals and how they can help your child stay safe during the school year. 1. What is a sports physical? A sports physical is usually required by your child’s school prior to participation in sports or other school-sponsored activities. The school has the child’s physician perform a thorough health evaluation to ensure that the child is healthy enough to participate in sports. 2. Why is the sports physical (pre-participation exam) so important? Parents might find these physicals inconvenient or just one more thing to add to their to-do list, but in fact, a sports physical may save your child’s life. In addition to the physical exam, the physician will ask many questions, both of the parents and the child, in order to gain thorough knowledge of the family’s medical history. This medical history shows patterns of illness associated with genetics and lifestyle habits and is often a predictor of medical conditions in the future. A physician wants to make sure that there are no underlying conditions that may prevent a child from participating in a sport, or worse, that may put a child’s life in danger. Conditions such as diabetes, asthma, obesity or ADHD may impair a child’s ability to exercise intensely. Also, if your child takes any prescriptions, the doctor may need to adjust the dosage, depending upon the level of sport being played. It is recommended that parents be present for these evaluations and adhere to any recommendations the doctor may have for the child. The physical is usually performed by the family physician or in some cases; the school will contract with a physician and perform these evaluations on school property. 4. Where do I get the right forms? Typically the school and/or coach will distribute the forms you need for you to take to the doctor. They doctor fills out the form as he/she performs the evaluation and then signs the paper, validating that the child is healthy and has medical clearance to participate on the team. In some cases, your doctor or facility may have generic forms that can be used. 5. How thorough is the physical itself? The sports physical is very similar to an annual checkup, where the doctor will do basic exams such as family history, current health habits, height/weight, vision screening, blood pressure, hernia screening, lower back and joint flexibility, and basic reflexes. Also included may be questions related to puberty and maturation, as well as past injuries or illness. The physician will also ask a number of questions pertaining to the child’s overall health and intended level of play. Should the physician deem that the child requires further evaluation such as a stress test, blood work or orthopedic evaluation, he or she may do so. Otherwise, the exam takes about 20 minutes and should be on your way. In most cases, insurance does not cover the cost of a sports physical. You may be required to pay a co-pay or pay for a full office visit, depending upon your insurance plan. 7. Do I have to see my family physician? No, but you do need to see a qualified physician, Nurse practitioner or PA. There are a number of clinics and local facilities that do sports physical examinations, so look around your area to see what options you have. 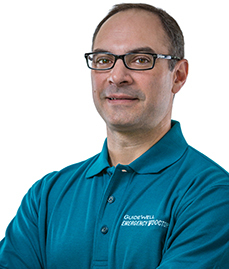 GuideWell Emergency Doctors is offering sports physicals now to Orlando kids for $35. Call and make your appointment today by calling (407) 801-8400!